Nanjing Green Towers in Nanjing, China. 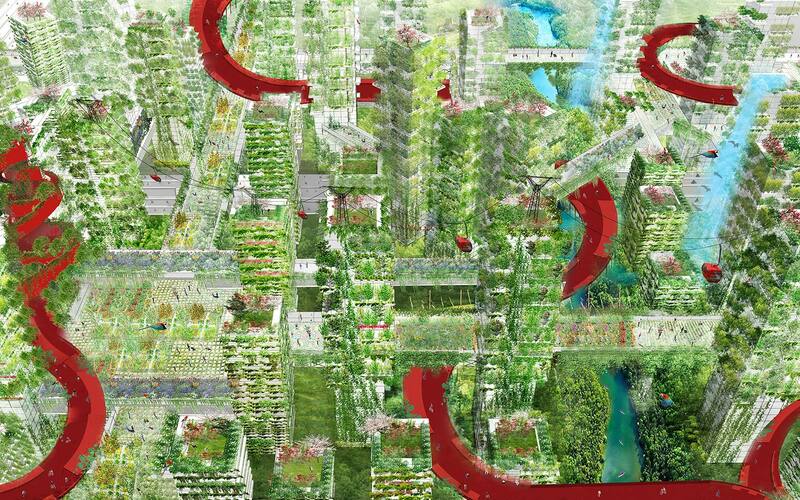 For anyone who considers themselves to be a bit of an urban Tarzan, an architecture firm has proposed a “forest city” which would cover an entire system of skyscrapers in trees. Stefano Boeri Architects, a firm known for their innovative and environmentally-minded designs, has proposed a city of green towers in Shijiazhuang, China. The city will include residences, parks, community centers and shops in a whole new type of “urban ecosystem,” according to the firm. Forest City will be capable of housing up to 100,000 people throughout its five “petals,” or neighborhoods. Each petal will offer residents a complete way of life, including office space, homes, retail centers and parks. In the middle of the system would be the central park, which would have the hospital, school and main cultural activities for everybody in the city. Because the towers are covered in greenery, they are actually beneficial for the environment. Each tower is able to absorb carbon dioxide from the air while producing oxygen. The towers can also provide homes for animals displaced by urbanization. 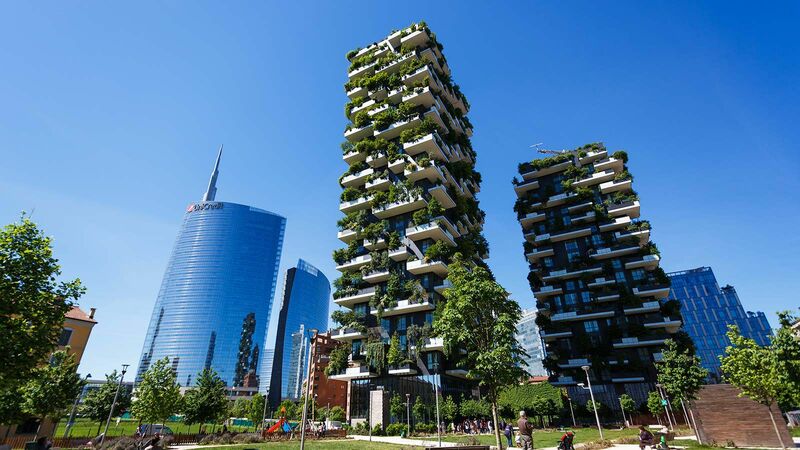 The firm estimates that each “vertical forest” tower is equivalent to about 65,000 square feet of an actual forest. And the green city would have dozens of these towers throughout its 555 acres. "Bosco Verticale" -- vertical forest apartment buildings completed in 2014, in the Porta Nuova neighborhood of Milan, Italy. 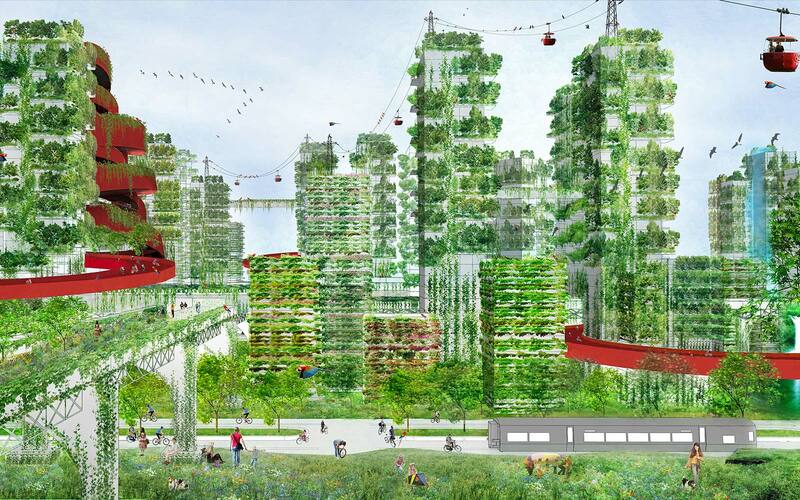 At the moment, the plan for a forest city is still just a concept. However the “vertical forest” is a real, breathing piece of architecture. The Stefano Boeri firm has already built a “vertical forest” tower in Milan and is currently constructing a pair of green towers in Nanjing, China due to open in 2018.